Arsenal qualified for the semi-final of the UEFA Europa League on 6-3 aggregate after holding CSKA Moscow to a 2-2 draw in the away leg of their quarterfinal. Arsene Wenger and his men were under high-octane pressure for the 73 minutes of the game, as they had given away their three-goal lead from the first leg, when the hosts raced to 2-0 within the first hour of the match. 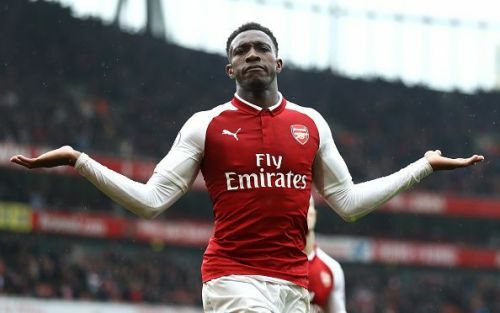 However, one goal apiece from Danny Welbeck and Aaron Ramsey not only ensured Arsenal's progression in the last four of the tournament, but also extended their unbeaten run to seven games. After Henrikh Mkhitaryan sustained an injury in the home fixture of this tie last week, a starting spot had opened up for the likes of Welbeck and Alex Iwobi, on the left flank. Both of them put in impressive performances against Southampton in the Premier League game of the weekend, and it was up to the manager to decide which one of them would start against CSKA in the away leg. Wenger made the right call and went with the Englishman, who has now scored five goals in four matches for the club. He is in exceptional touch at the moment and looks high on confidence after a long, long time. The Gunners looked in a preposterous position when they were 2 down and the Russain side required just one more goal to book their spot in the semis. However, Welbeck produced a brilliant turn and followed it up with a beautiful finish to tilt the scales in Arsenal's favour.